Last Friday we set off to the sunny state of Queensland to take part in the Upcoming Designer Showcase! 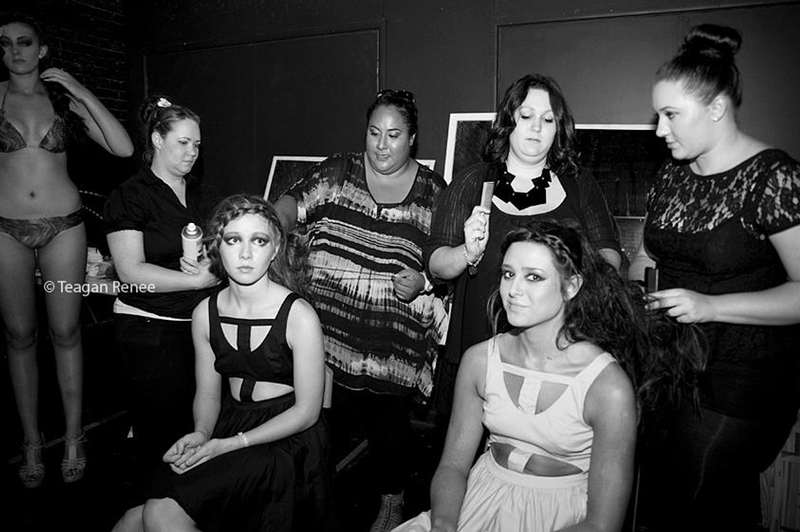 We had such an amazing time getting to know some of QLD's best models and fashion labels. Ten of our latest looks were strutted down the runway amongst designs by Niki Teljega, Saucy Rose, Eva Q and many more! It was such an honour to take part in such a prestigous event, and thanks so much to all of our supporters who came! Awesome photos! Love the hairdo on the models! love seeing behind the scenes pics!! Sound so exciting! Great pics! “say ‘isle of view’ 5 times. that looks so good! congrats girls! Lovely blog! I love the black and white photos and the hairdo! You ladies are fabulous - I'm so happy you stopped by today so I could stumble across your blog :)I'm excited to be following along and seeing what you're all up to in Australia! Oh wow! This is amazing! Everyone (stylists and models) look beautiful! Great photos! Looks like a fun event! I love the black and white pictires - they look amazing. Congrats on the event! Sounds amazing, couldn't help but notice that the models hair are so beautifully styled too! Looks like a very cool party ! Love the models hairdo ! I love all of the photos from Casper & Pearl.